Optometry has developed some extraordinary advances throughout history -- and one state-of-the-art technique in particular has made vision correction easier and more versatile than ever before. Orthokeratology, also known as corneal refractive therapy, CRT or ortho-k, can make safe, reversible changes to the corneal curvature to correct refractive errors such as myopia (nearsightedness). It can even curb the development of myopia in children. Whether you're looking for a more conservative option than LASIK or you're trying to secure better eyesight for your kids, you can get this form of care from our eye doctors at Warm Springs Optometric Group. To understand what orthokeratology is and how this form of corneal refractive therapy works, it helps to know how the refraction of light influences your vision. As light passes through the cornea and leans, it is normally refracted so s clear image will form precisely at the retina. Refractive errors due to an abnormal corneal or eyeball shape may cause the image to be thrown behind or in front of the retina, creating a blurred vision. Traditionally, glasses and contact lenses have compensated by modifying the refraction of the incoming light; more recently, LASIK surgery has been used to change the shape of the corneas themselves. But corrective lenses come with their own set of inconveniences and limitations, while LASIK is a permanent surgical change that some people aren't well suited for. Orthokeratology represents an ideal middle ground between these two forms of correction. These specialized contact lenses act as molds that can temporarily reshape your corneas according to your individual corrective prescription. 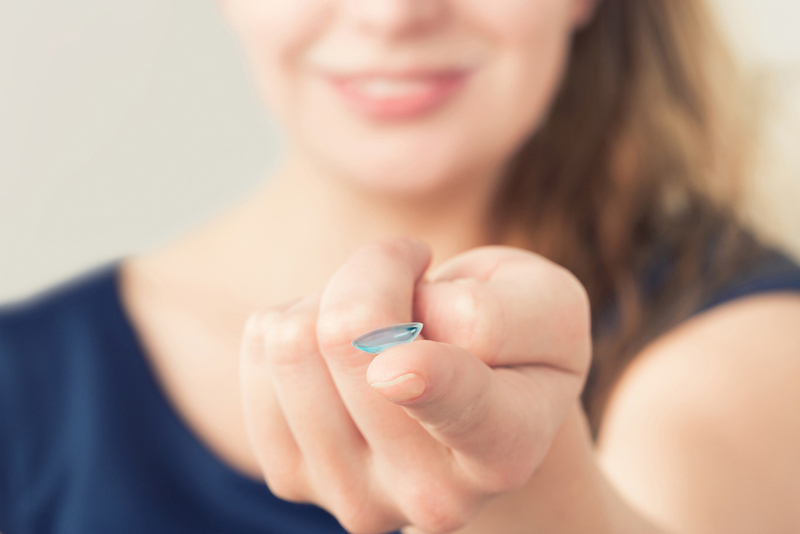 Unlike ordinary contacts, these lenses need only be worn overnight, during sleep. When you wake up, you can remove them and enjoy corrected vision during the day -- no glasses, daytime contacts or surgery required! The effect may last two or more days, depending on the person, and you can keep it going simply by wearing the lenses periodically. If you want to go back to another vision correction method, just stop wearing the lenses and your corneas will go back to their previous state. Nearsighted children can benefit even more profoundly than adults from corneal refractive therapy. That's because the majority of myopia progression takes place during childhood -- and the intense near focus required by hours of daily reading and writing may aggravate the problem. Orthokeratology appears to reduce that progression when worn on still-growing corneas. Studies indicate that these lenses can curb myopia progression by up to 81 percent in school-age children. Since myopia is not just a vision problem but also a risk factor for certain eye diseases, this amazing form of myopia control is good news indeed for nearsighted kids! If you're in Fremont, Milpitas, Newark, Union City or surrounding areas and you're excited by the possibilities of orthokeratology, there's no better time to talk to our Fremont optometrists. Call (510) 490-0287 today to schedule an appointment! To learn more about the treatment options offered at Warm Springs Optometric Group, visit our Myopia Control Therapy Center.